Dependent upon what newspaper you read or what television programmes you watch, you will either know that this is a serious problem or you will believe that it’s all imaginary and those suffering from it need psychiatric help. In point of fact, many suffering from the symptoms of electro smog are sent for psychiatric evaluation because their family doctor has never received any training in this problem. In Europe, we have a strange situation whereby the European Union has recognised electro smog to be a major health hazard but none of the member states has, as yet, done so, i.e. they are all still in denial. Now, electro smog is not a new problem; humanity has known about its symptoms for more than 100 years. It was only when we began sticking an intense source of electro smog into our ears (mobile/cell/cordless ‘phones) and, thereby, cooking our brains that people began, in large numbers, to notice it. The way in which we generate electricity is extremely chaotic. The electricity generated has so much chaos in it that the greater part of it is dissipated in heat, microwaves and, the most important aspect for biological health, wild scalar waves. In point of fact, so much is radiated away that, of the total amount of electricity generated, often a mere seven per cent will actually reach the electrical device which uses it! You still pay 100% of the generating costs, however! 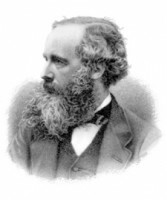 Although the Scottish physicist James Clarke Maxwell described scalar waves in great detail in the nineteenth century, this aspect of his work has been largely ignored because, until very recently, nobody know what scalar waves were good for. What we now know is that biological systems use scalar waves for their internal communication systems! It is, therefore, not in the least surprising when we “discover” that wild scalar waves will disrupt this internal communication and cause major health problems. Although many have attempted to resolve the problem by trying to neutralise the wild radiations and some quite effective gadgets have been invented, the real solution is to stop electrical devices, cables etc. producing electro smog. If the problem is chaos, removing the chaos from the electricity should bring about a cessation of the production of the wild radiations. Experience shows this assumption to be correct and it is the Harmony Technology which does this. You can see, hear and read all about it here.